A renowned and prolific Singaporean dance ambassador, Danny has forged strong alliances with many international organisations and artistes for 2 decades, positioning unique Singaporean identity on the world dance map. Championing for a uniquely Singaporean voice, Danny is a well-known arts practitioner and producer with remarkable milestones in dance making and production. Danny is highly commended by local and international press and media, government officials and dignitaries for his penchant of Asian Contemporary Dance works. Danny’s commissioned works by embassies, corporates, ministries and institutions have graced theatres and festivals across Asia, Australia and Europe. As the Founder and Artistic Director of Odyssey Dance Theatre (ODT) since 1999, Danny has directed and produced more than 100 mainhouse seasons. His signature works includes 20 full-length works and more than 80 repertoire that are performed to global audiences of more than 30 cities in 20 countries. 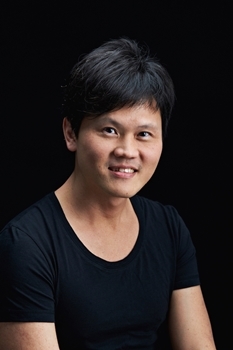 Danny is also the Festival Director of 2 notable Singapore International Dance Festivals – Xposition ‘O’ Contemporary Dance Fiesta and DanzINC –International Dancers and Choreographers’ Residency Festival, which he founded in 2001 and 2004 respectively. Danny has also been profiled as a key speaker at conferences and seminars. He has also presented his papers at symposiums and conferences. In 2010, he authored and published his first book – ‘Dance Odyssey – A Decade of Brilliance’, tracing the development of ODT across ten years. Danny was conferred the Doctor in Creative Industries at the Queensland University of Technology, Australia in 2010. ISPA would like to thank National Arts Council Singapore for their support of this important regional initiative.